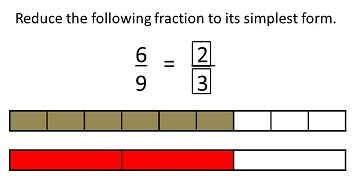 Fractions can be written as its simplest form or as an equivalent fraction. 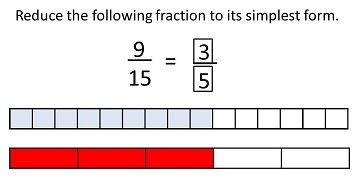 The best way to understand how to reduce a fraction to its simplest form is to use diagrams or models. 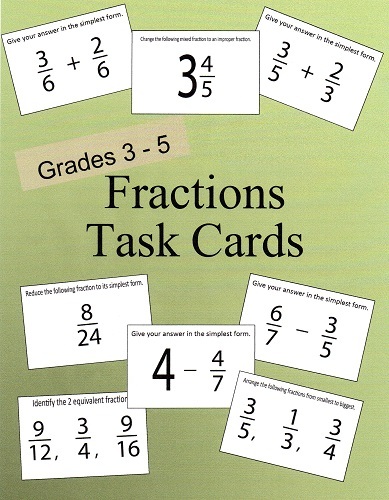 Look at the examples provided and then try to answer the questions that follow. 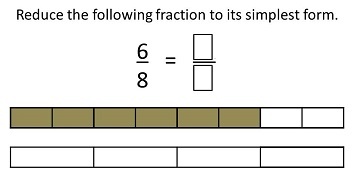 Note how the shaded parts correspond to the numerator of the fraction. 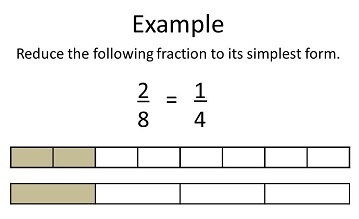 You can reduce the fraction by dividing both the numerator and the denominator by 2. 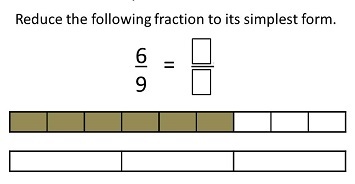 Do you know what number should the numerator and denominator be divided by? 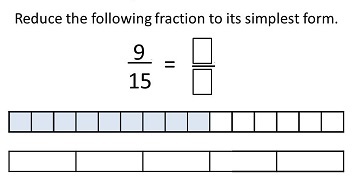 Try the next few by yourself before looking at the answers. Use the diagrams as a guide. 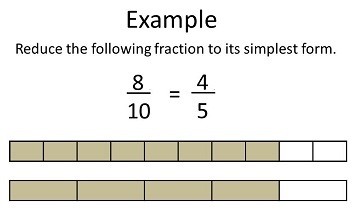 Remember that reducing a fraction to its simplest form just means you have to divide the numerator and denominator by the same number until they cannot be divided anymore.